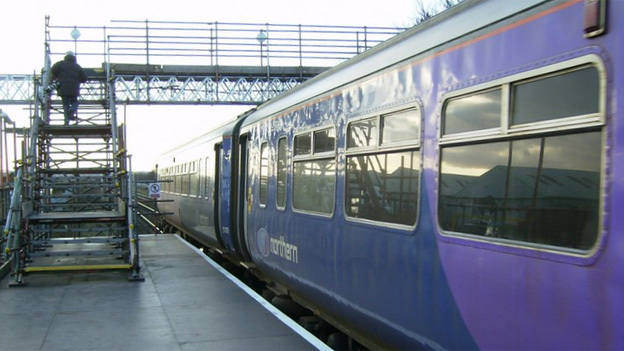 Railway timetable changes introduced across Yorkshire are to allow for an upgrade of the network, according to a train operator. The new timetable, which came into operation on Sunday, sees many service times altered. Network Rail is investing £600m in electrifying lines as part of its Northern Hub project. Alex Hynes, head of Northern Rail, claimed it was the biggest investment in railways "since Victorian times". He said: "To help deliver these improvements for the long term, we need to revise the times of some of our local services so we are asking customers to check times before they travel." Northern Rail is the largest train operator in the UK, with services to more than 500 stations. A railway station serving a hospital has become fully open to passengers. 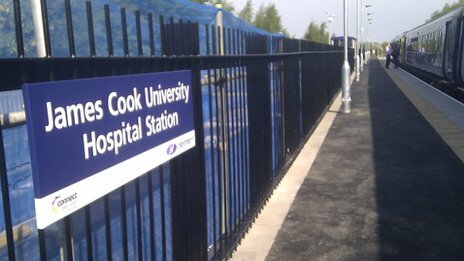 Up to 17 Northern Rail trains on the Esk Valley line will call at the new stop for James Cook University Hospital in Middlesbrough. It follows a successful funding bid from the Department for Transport by the local enterprise partnership, Tees Valley Unlimited. Middlesbrough Council said it filled a critical gap in the local service and would benefit the surrounding area. Jill Moulton, from South Tees Hospitals NHS Foundation Trust, said: "Having the option of the train will be a benefit to patients, visitors and staff by offering an extra choice of how they get to the hospital. "We hope it will reduce congestion and make the site a better place for everyone."